A Cold and Frosty Morning? It has certainly been an interesting start to 2017. With cries of “hard Brexit”, “IndyRef 2” and “America first” ringing in our ears, it sometimes feels like the whole world is tearing itself into fragments around us. As I looked rather gloomily at a string of rejection letters for EU funding applications this morning, I couldn’t help wondering if building new walls is not confined to the Mexican border. Research is an inherently long-term, collaborative and international endeavour. Major changes to established trans-national institutions and relationships cause uncertainty, not least over the funding which flows through and supports them. That uncertainty, in turn, disrupts research, making an already challenging operating environment all the more hostile. And yet, the beginning of any new year is a time for optimism. There is, perhaps rather counter-intuitively, a great deal to feel excited about for research in the year ahead. After a rather lengthy period of debate and review, preparations for the next Research Excellence Framework (REF) have now begun in earnest. A resource intensive process laden with rules, regulations and not a little angst might not immediately appear something to get excited about. Stand back a little, however, and consider the hugely positive impact periodic research assessment linked to selective funding has had on the productivity and quality of UK research over the last three decades. That is because research assessment galvanises research management, driving investment, priorities and performance. Consider also the fabulous opportunity which the outcomes of the REF give us to showcase the quality and importance of our research to policymakers, funders (including tax payers!) and partner organisations. In the months ahead we will determine how the 2021 REF is to operate – let’s design it wisely. The shape and focus of research is continuing to evolve. It is driven by a desire to explore interesting and important questions and find answers which have a profound, positive economic, societal and cultural impact. The expectations embedded in research policy and funding are increasingly aligning with that desire, with an increasing proportion of scarce research pounds being targeted on enabling researchers to seek solutions to some of the most pressing problems on the planet. The UK Research Councils’ Global Challenges Research Fund is the latest manifestation of that change. Research transcends boundaries. The complexity of the questions we are examining continually takes research enquiry beyond disciplinary and organisational confines. Just as importantly, research has a lovely habit of going over, under or around whatever artificial obstacles and barriers nation states put up. The University of Stirling is one of the top 200 most international universities in the world, praised for our global outlook and diversity. We are the most welcoming Scottish university to international students. In 2017 and beyond, we will extend our global reach even further, with new partnerships in research and education. 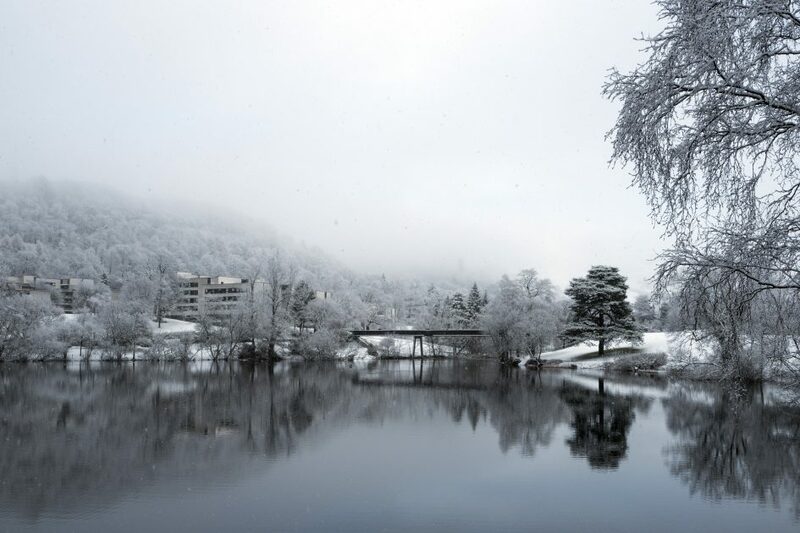 At Stirling, we have exciting research developments planned for 2017: quirky spaces to facilitate interdisciplinary working; a “dragons’ den” to target investment on our thematic priorities; a best of breed e-research platform; new ways of telling the story of the impact our research makes; and much more. It’s a cold, frosty day on campus but the sun is shining and the sky is blue. What’s not to like? John has worked in Higher Education management and administration for over 25 years. 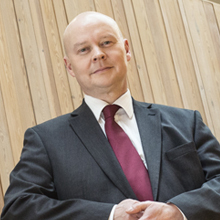 He is currently Director of Research and Enterprise at the University of Stirling where he has responsibility for an integrated portfolio covering strategy and policy, grant and contract funding, research assessment, researcher development, research governance and integrity, innovation, knowledge exchange and commercialisation. He is a member of the Interface Strategic Board, Chair of the Board of Stirling University Innovation Park, and Deputy Chair of the Association of Research Managers and Administrators (ARMA) UK. Prior to joining Stirling John worked at the University of Manchester, where he was responsible for student recruitment, public relations, international relations and research support. John’s earlier career was spent as the national manager of the 2001 Research Assessment Exercise and before that at the University of Aberdeen in a variety of roles.